These competitions are not figured into the scoring system that determines the age division titleholders. These optional contests are offered at the state level. There are more optional contests offered at the national level. 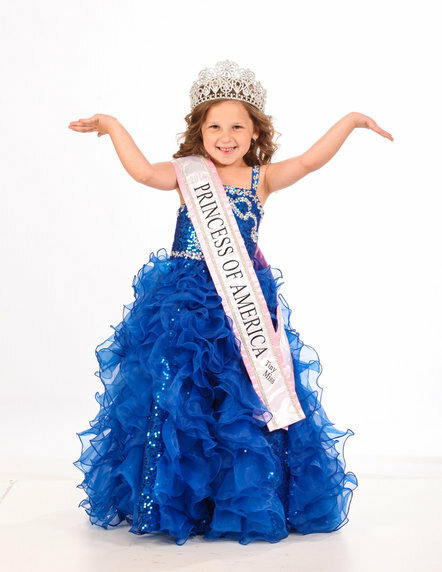 Please bring a photograph no larger than 8 x 10 to pageant check in. No glitz photos. Please adhere to makeup guidelines. You may enter as many photos as you would like. Contestants will model the outfit of their choice. This is a fun, age appropriate ensemble that you would wear to the mall shopping or out to a movie with friends. Remember, this is not a costume. No props and no glitz modeling. Accessories that you wear such as a scarf, sunglasses, hat etc. are permitted. Judging is based on presentation and personality. Contestants will prepare an original speech to deliver to the judges and audience. Time limit is 90 seconds. Points will be deducted for exceeding time limit. Speech should be memorized. Choose the topic of your choice. Wear interview attire. Entries have a time limit of 2 minutes 30 seconds. Points will be deducted for exceeding this time limit. Costumes should be age appropriate. If you will need a piano you must provide your own. Please bring your CD, in a case, marked with your name to pageant check-in. It is a good idea to have a ‘back up’ CD with you as well. There will not be a rehearsal for talent pageant weekend. The overall talent winner will be crowned Superstar!